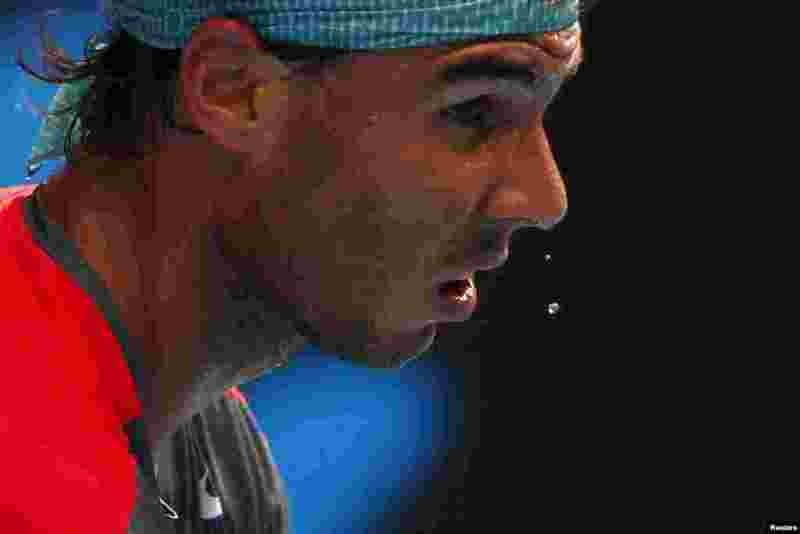 5 Sweat drips from Rafael Nadal of Spain's nose during a men's singles match against Kei Nishikori of Japan at the Australian Open 2014 tennis tournament in Melbourne. 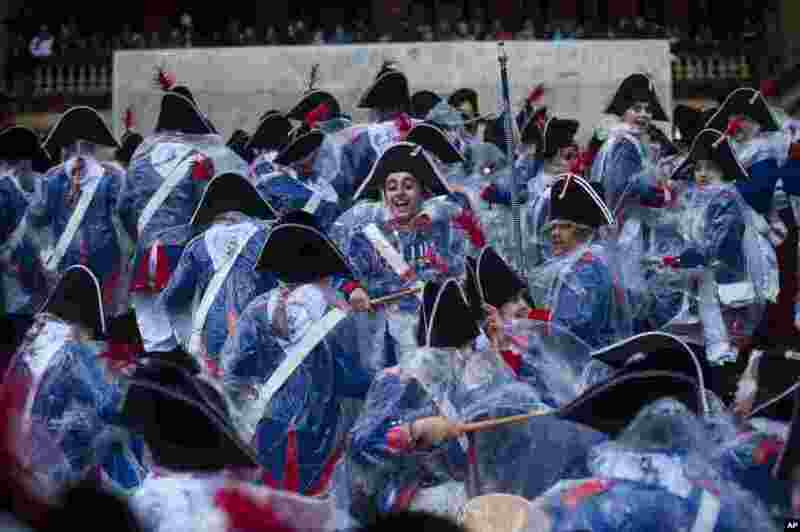 6 Tamborilleros wearing their uniforms try to shelter from the rain, as they march in the traditional ' La Tamborrada', during 'El Dia Grande', the main day of San Sebastian feasts, in the Basque city of San Sebastian, northern Spain. 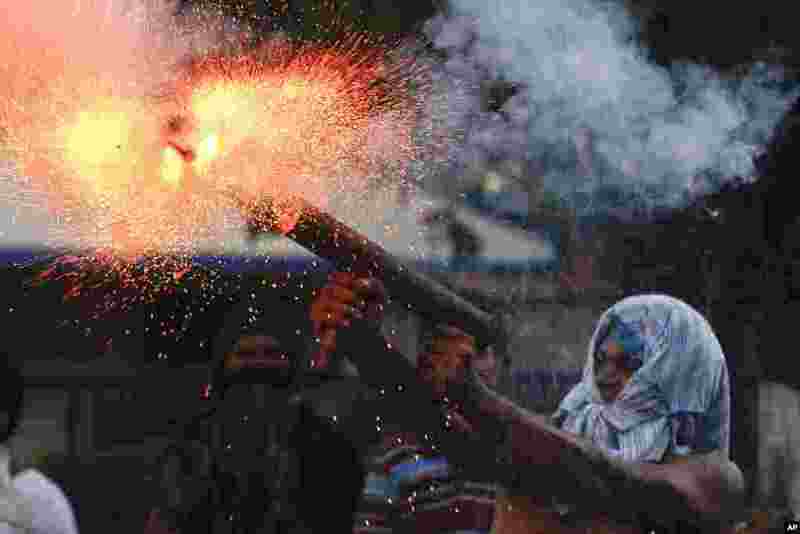 7 A relative of the former worker of the Ingenio San Antonio fires a homemade mortar during protests in Chichigalpa, Nicaragua, Jan. 19, 2014. The former sugarcane cutters were demanding compensation for damages to their health resulting from alleged exposure to agrochemicals and pesticides when the protest turned violent. 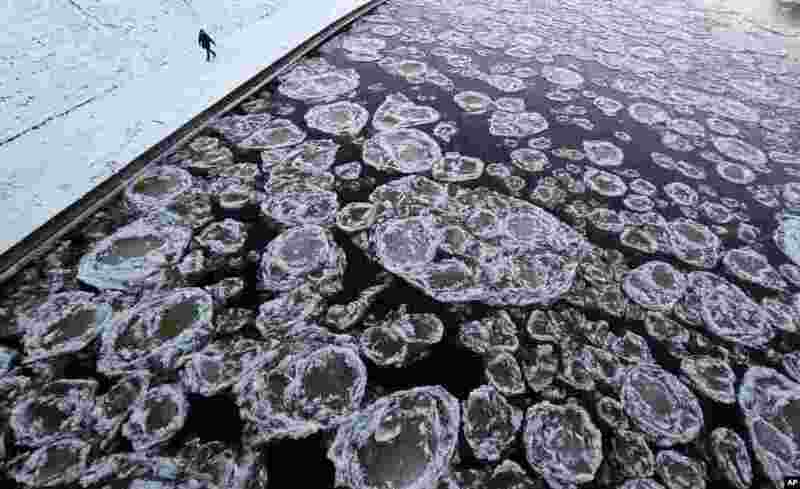 8 A pedestrian walks along the banks of the Neris River as temperatures dipped to -18°C (-4°F) in Vilnius, Lithuania.